One thing leads to another like a domino, with access to leaked credentials dumps, the speed and efficiency of brute-force attacks has improved significantly. Hackers have been targeting legacy protocols with these stolen credentials dumps. 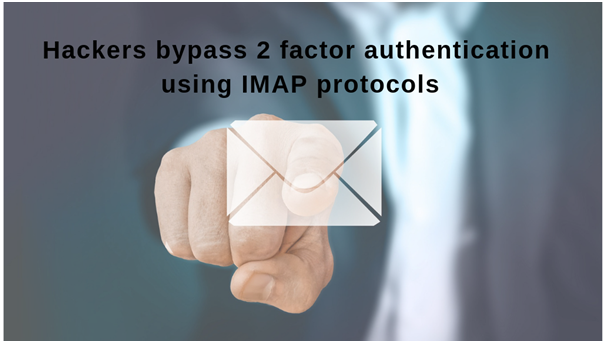 IMAP (Internet Message Access Protocol) is the most abused protocol, IMAP is the protocol that bypasses Multi-Factor Authentication and lock-out options for failed logins. From September 2018 through February 2019, Proofpoint conducted a six-month study that analyzed over 100,000 unauthorized logins across millions of monitored cloud user-accounts. The company found that 60 percent of Microsoft Office 365 and G Suite tenants were targeted with IMAP-based password-spraying attacks, while 25 percent were successfully breached in this manner. 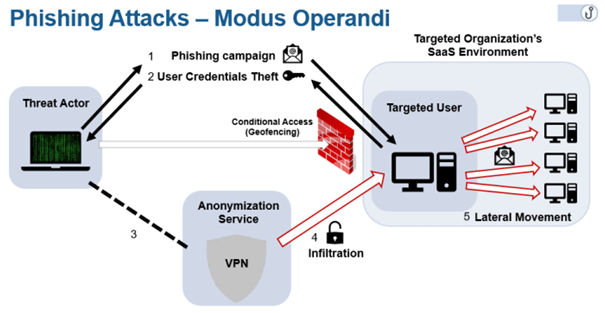 Once in the attackers gain access, the attackers get closer to the ultimate aim which is to launch internal phishing and to have a strong foothold within the organization. Internal phishing attempts are hard to detect when compared to the external ones. Another interesting data point is the origin of these attacks based on the IP seems to be from: Nigerian IP addresses(40%), next to that from China(26%) and other major sources are United States, Brazil, and South Africa. Advanced Threat Protection, Email, Microsoft Office 365, Microsoft Office 365. permalink. Why should government entities adopt DMARC? And help get rid of suspicious emails!